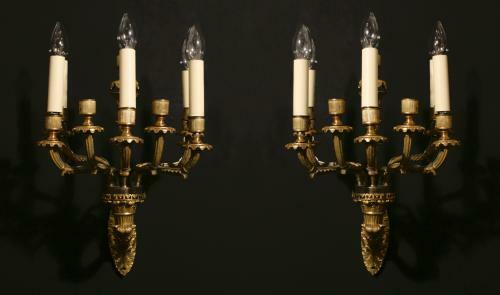 A pair of beautiful ten arm wall lights, French, Circa 1900. These wall lights are in exquisite condition with a very high quality gilt bronze finish. They have been professionally wired for the UK but can be done for the US.